RUSSIA. Moscow. May 9, 2015. 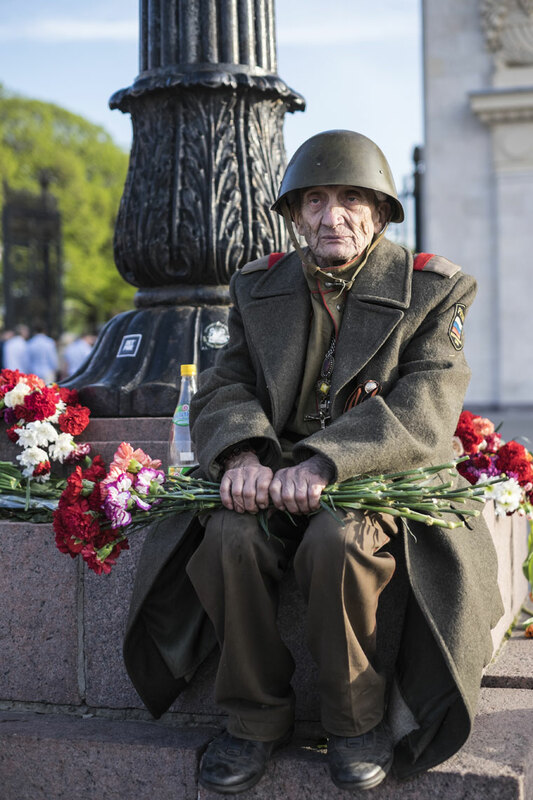 A World War II veteran tells stories about the war to passerby at the entrance of Gorky Park.